New York, late summer, 2000. A party in a spacious Manhattan apartment, hosted by a wealthy young activist. Dozens of idealistic twenty-somethings have impassioned conversations over takeout dumplings and champagne. The evening shines with the heady optimism of a progressive new millennium. A young man, Ben, meets a young woman, Kate--and they begin to fall in love. Kate lives with her head in the clouds, so at first Ben isn't that concerned when she tells him about the recurring dream she's had since childhood. In the dream, she's transported to the past, where she lives a second life as Emilia, the mistress of a nobleman in Elizabethan England. But for Kate, the dream becomes increasingly real, to the point where it threatens to overwhelm her life. And soon she's waking from it to find the world changed--pictures on her wall she doesn't recognize, new buildings in the neighborhood that have sprung up overnight. As Kate tries to make sense of what's happening, Ben worries the woman he's fallen in love with is losing her grip on reality. 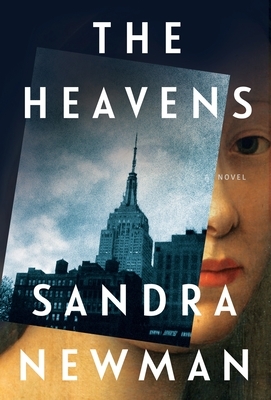 Both intoxicating and thought-provoking, The Heavens is a powerful reminder of the consequences of our actions, a poignant testament to how the people we love are destined to change, and a masterful exploration of the power of dreams. Sandra Newman is the author of the novels The Only Good Thing Anyone Has Ever Done, shortlisted for the Guardian First Book Award, Cake, and The Country of Ice Cream Star, longlisted for the Baileys Women's Prize for Fiction and named one of the best books of the year by the Washington Post and NPR. She is the author of the memoir Changeling as well as several other nonfiction books. Her work has appeared in Harper's and Granta, among other publications. She lives in New York City.